WASHINGTON—Emphasizing that they really want to help any way they can, members of Congress announced Friday that while they desperately wish they could lend aid and assistance to the U.S. territory of Puerto Rico while it struggles to recover from Hurricane Maria, the fact remains that the island is all the way over there. 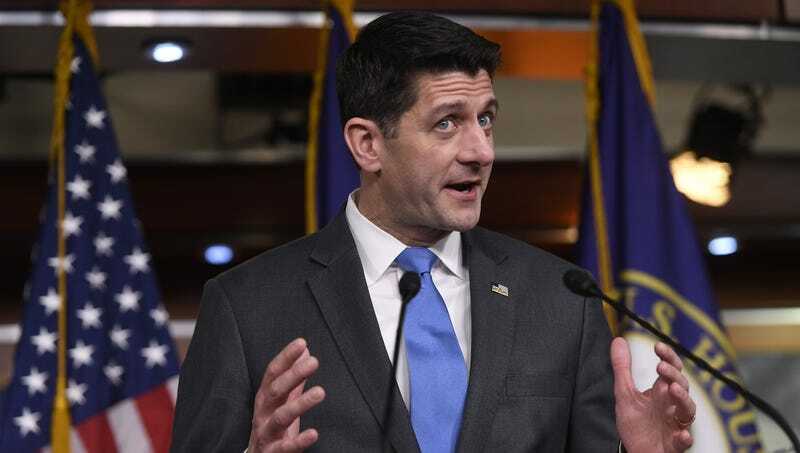 “It should go without saying that our hearts go out to the residents of Puerto Rico in this hour of need, and we want nothing more than to help its citizens, but they live way, way off in the sticks,” said Speaker of the House Paul Ryan (R-WI), stressing that Puerto Rico is not connected to the mainland by either bridges or tunnels, and when you look at a map you can plainly see it is all the way out in the Caribbean. “Let’s be clear—we all feel that it would be fantastic to provide these people post-disaster assistance, but have you ever been to that part of the world? It’s pretty much halfway around the globe. Any doctors, engineers, or infrastructure technicians we sent would be, like, ‘Ugh, how long does it take to go the whole way to Puerto Rico?’ after just a few hours, trust me.” Congress has also released a non-binding resolution officially declaring that by the time any U.S. aid reached Puerto Rican residents, they probably would have the hurricane damage all fixed anyway.